Mack Reynolds is an SF author who needs more attention. Unfortunately his non-public domain works, the majority of his work, are languishing, orphaned. Escape Pod has paired this less than stellar novelette with an excellent narrator, Corson Bremer, but even so it’s a less than stellar representative example of Reynold’s most thoughtful societal thinking. 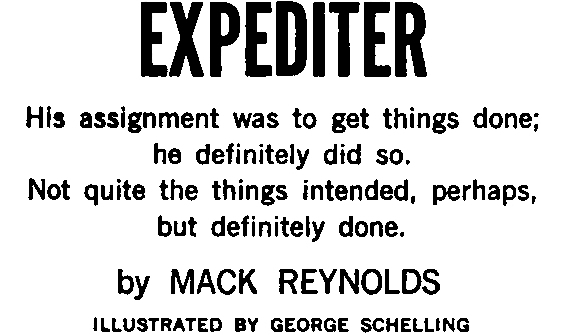 Expediter merely hints at the kinds of things Mack Reynolds could do. 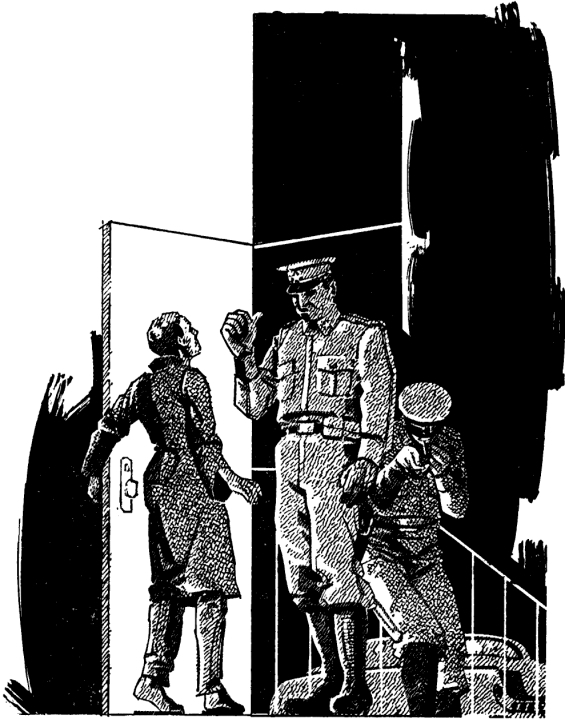 Come to think of it, what we really need is an expediter to make the still copyrighted works of Mack Reynolds available as ebooks (and audiobooks). His assignment was to get things done; he definitely did so, Not quite the things intended, perhaps, but definitely done. First published in Analog, May 1963. And I’ve assembled a |PDF|. I’d like to see the audiobooks installments . Are they on itunes or newfiction.com ?